The Sartorius family of painters from England spanned three generations during the eighteenth and early nineteenth centuries. Francis (1734-1804) was the son of John and the father of John Nott Sartorius. Nott is considered to have been the most successful horse artist of the family. Sartorius the Elder exhibited with Society of Artists, the Free Society and the Royal Academy from 1773 to 1791. His success enjoyed at the end of the 18th century was due to his expertise in animal portraiture. His work exemplified Anglo-Saxon interest in horseracing and hunting. 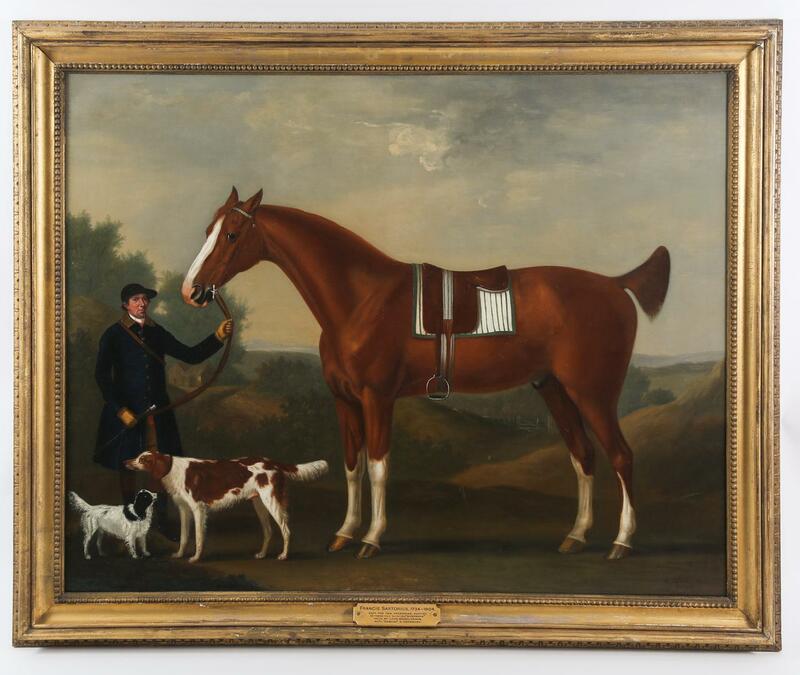 The painting here shows his dedication to horse anatomy which is all the more visible because of the horse’s central and overpowering placement. Several of his portraits were notably engraved by John June and published during the late 1700’s, which ensured the dissemination of his work among the wider public. To view live auctions click here. Have something like this? Click here to consign.